where you can Spin & Win exciting prizes everyday..
Just click on the 'Christmas Bells' on this page to spin your wheel of fortune once everydayand stand a chance to win exciting prizes worth upto Rs 25,000! Yes, you heard it absolutely right!!! 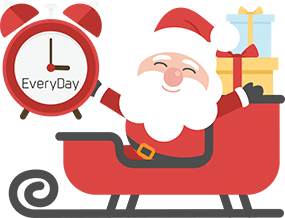 You can try your luck daily to see what Santa has got for you in the store. Extra Cashback on transaction winners, make sure to do your shopping transaction the same day to be eligible to receive extra cashback on the next transaction. Example, if you win extra cashback on Dec 25th, make sure to do an online shopping transaction on Dec 25th to receive extra cashback on that transaction, subject to the maximum cashback limit.. If you win 20% extra cashback on your next transaction and if you earn Rs. 100 in your next transaction, you will receive Rs. 20 as extra cashback. Extra Cashback on gift card purchase winners, make sure you place your gift card orders the same day to be eligible to receive extra cashback as ZingCash+ on the order, subject to the minimum order value. Example, if you win extra Rs 25 ZingCash+ on Dec 25th, make sure you place a Gift Card order on Dec 25th to receive extra cashback on that order. If you have won flat 3% Selling Fees as your prize then, make sure sell any unused gift cards on Zingoy Marketplace on or before 3rd January 2018. You will be charged the selling fees as usual on the listing and the difference in selling fees charged and 3% will be refunded back into your Zingoy account as ZingCash by 4th January 2018. Refund as ZingCash will be credited only on one gift card listing i.e the next listing which needs to be sold on or before 3rd Jan 2018. We'll send you the voucher on the email ID registered on Zingoy. Please add us([email protected]) to your contact list to make sure the voucher email does not go to spam folders. User needs to be registered & logged in on Zingoy to participate. 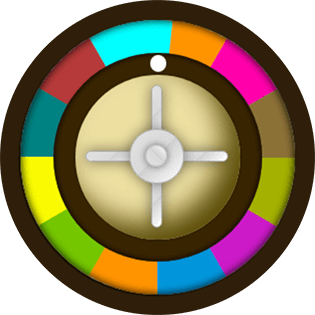 Each user can spin the wheel only once in a day and win only one prize in a day. Decision by Zingoy will be final in case of any dispute. The prizes will be credited to your Zingoy account by 4th January 2018. Zingoy reserves all rights to suspend users or take corrective actions in case of duplicate user accounts and/or fraudulent actions. Zingoy site rules and terms will apply for this contest as well.